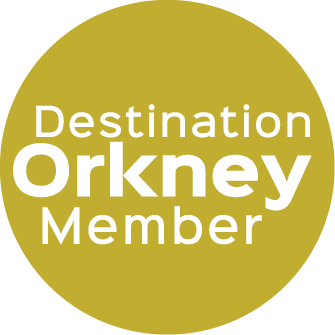 Welcome to Pentland Self Catering, offering you a cosy home from home in Orkney's ancient capital of Kirkwall. A new bungalow, built to a high standard in a quiet yet central location which is in walking distance of the main shopping street, restaurants, bars, the Kirkwall Travel Centre and bus station and tourist attractions such as the stunning St Magnus Cathedral, Earl’s and Bishop’s Palaces and the Orkney Museum. The house is furnished to a high standard with oak furnishings throughout, full underfloor central heating, comfortable bedding and towels, a welcome basket of local produce on arrival and a range of DVD’s, books and board games for you to enjoy. There is also free, unlimited Wifi. There is private, off street parking for 2 cars. The bright, airy and comfortable sitting room with 40” Smart TV is the perfect place to relax after a day of sightseeing and watch a film or relax with a book. The cosy bedrooms with blackout-lined curtains will allow you a peaceful nights sleep even during the summer months where the sun is above the horizon for up to 18 hours! Our aim is to make your stay as comfortable and relaxing as possible so you are rested and ready to explore everything our wonderful islands have to offer.